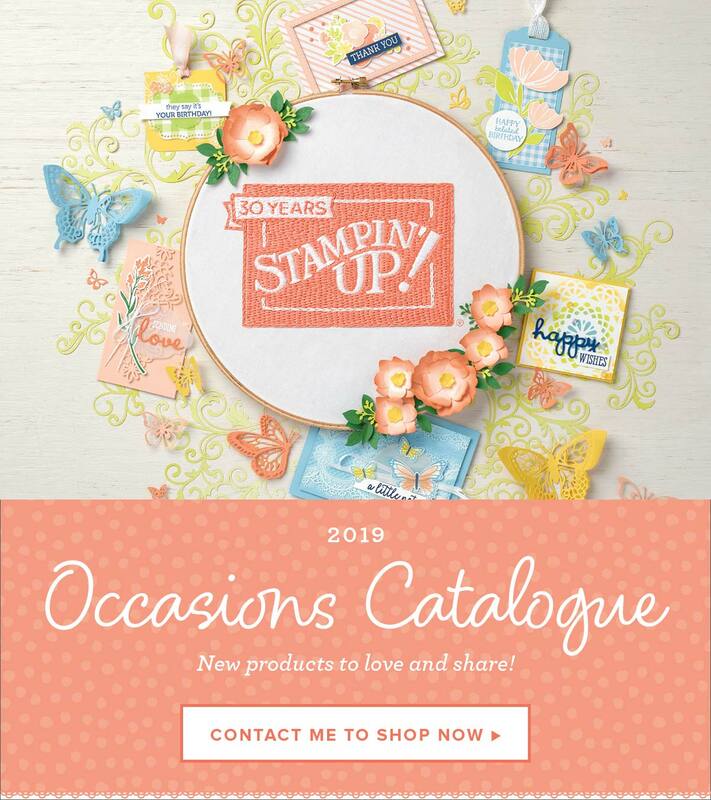 Stampin’ Up!® Demonstrator Karen Robinson | Father’s Day fun – milk carton yum! I have a bit of a soft spot for milk carton style boxes and thought I’d try to make the biggest one I could using our A4 cardstock. It’s quite a whopper at 2-3/4″ x 2-3/4″ x 5-1/2″ (7 x 7 x 14cm) and contains an entire 200g bag of Darrell Lea bullets – minus one for quality control – with room for even more! The sentiment is a combination of two different ones from the Cool Treats stamp set. I inked and stamped one section, added the “cool” in the middle and then stamped the end. A few enamel shapes in Crushed Curry filled it out a little without being too fussy. I hope this is easy to follow, please let me know if any of the measurements are off. A short and sweet post from me to finish off the week, I hope you like my project today and if this colour way isn’t your cup of tea there are plenty of others to choose from. I think it would look amazing with the Coffee Café bundle and was nearly going to use that but really wanted to use this particular piece of DSP.